It’s about time!! 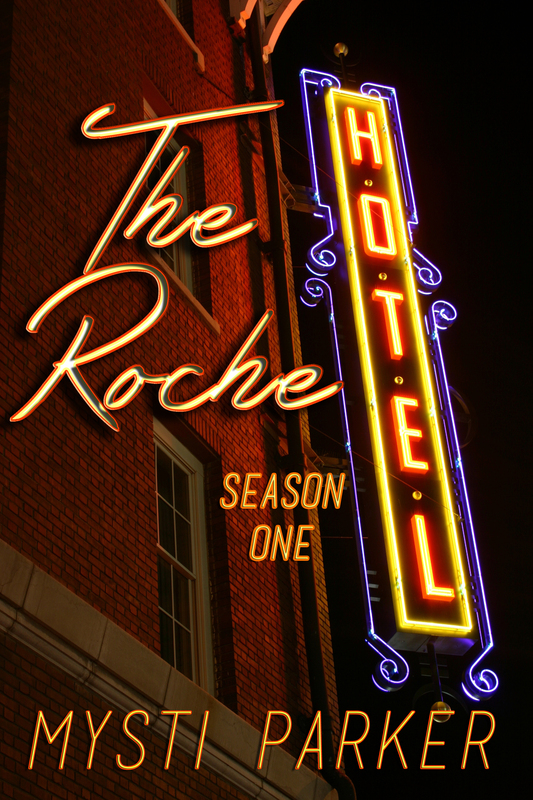 The drama, romance and noir-packed Roche Hotel series is here, written by an author I greatly admire: the fabulous Mysti Parker. From the very first paragraph, the life, atmosphere and sly wit of the Roche Hotel slinks off the page and cozies up next to you. Do not miss your chance to get hold of the first installment for way cheap!! When she’s not writing fiction, Mysti works as a freelance editor and copywriter. She also reviews books for SQ Magazine, an online “specific” publication, and is the proud owner of Unwritten, a blog voted #3 for eCollegeFinder’s Top Writing Blogs award. She resides in Buckner, KY with her husband and three children.